Build housing for residents (not outsiders). Sharon has been fighting Kakaako's "luxury blight" since it hit with full force five years ago. Honolulu is in the midst of the greatest housing crisis in the U.S. today. You know it, but politicians are failing us. Honolulu is nearly the least affordable of 500 U.S. housing markets, and on our island, people can't drive to the next housing market for relief. No wonder we have the nation's worst homeless problem. No wonder young folks moving out make Hawaii the only Sunbelt state losing people. 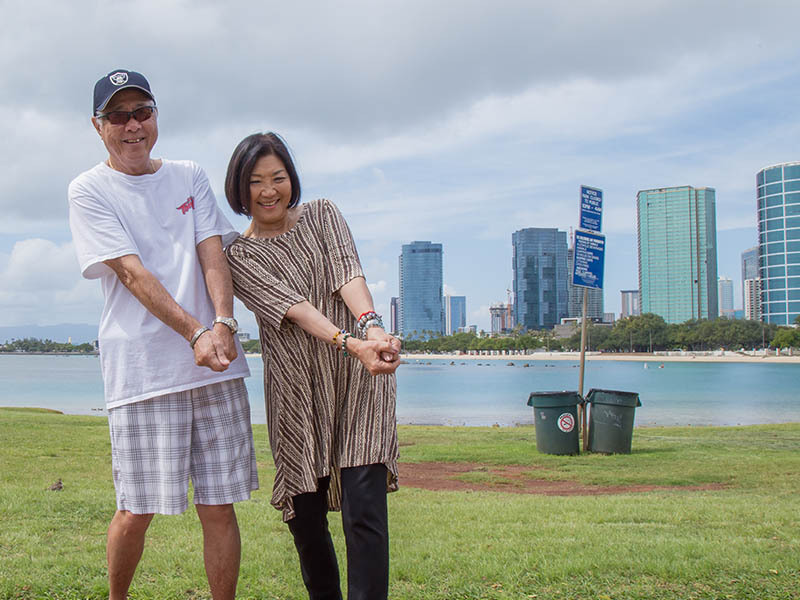 Building luxury towers for outsiders instead of homes for residents hurts not just Kakaako. It's spreading to Waikiki and Ala Moana; then on to McCully, Moiliili and Sheridan. In line with bills alive in the current legislature, Sharon wants to tax the big investment trusts that underwrite high-end development, using their profits to finance residential housing. She favors "Hula Mae" loans to independent contractors that build middle class homes, the way local contractors built homes when Sharon was growing up. And she wants "rent to own" homes for those just starting out. As Roger, one of her supporters says of Sharon, she who walks the walk, "Less Talki, Moriwaki!" Download and read Sharon's "Housing Blueprint" mailer. Help kupuna remain at home. Our culture means we care about, and care for, our kupuna. Of those over 65, 90% prefer staying home to receive care rather than moving to a facility. Family members here are dedicated caregivers, but providing that care creates financial and emotional stress. We must support home caregiving to help seniors who want to stay at home with their families. The AARP estimates there are 154,000 caregivers in the state. Hawaii's Kupuna Caregivers Program assists family caregivers who work outside the home by providing $70/day benefits for home health care workers, extra help preparing meals, and adult day care costs. The program helps family caregivers remain employed, even as they support their kupuna with the quality care family members are best able to offer. That means in the long run, the program saves the state money. Yet the program remains embarrassingly underfunded. According to the Office on Aging, it is currently supporting only 38 Oahu caregivers, 68 statewide. Even if funding increases this year, as proposed, the total served in Hawai’i rises by just another 124. Supporting elder care at the level needed requires much more money. 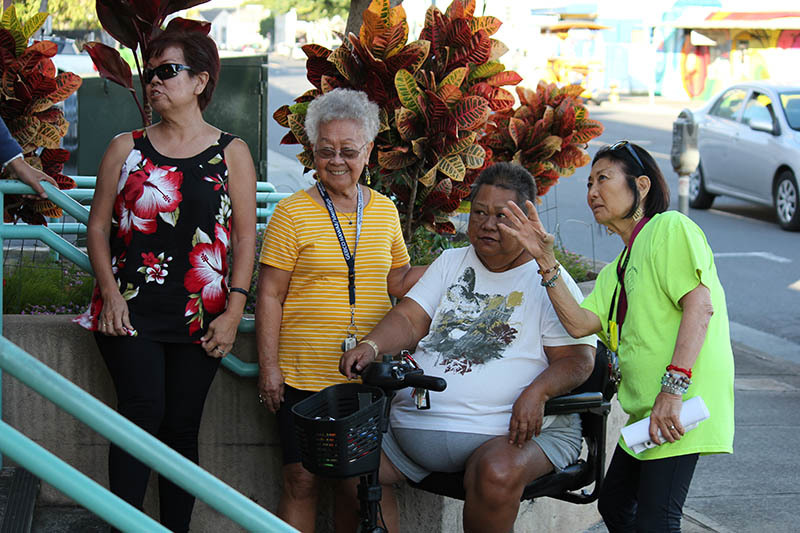 If elected, Sharon pledges to help thousands of Oahu kupuna remain at home by drawing on Tobacco Enforcement Special Funds that brought $784 million to our state through 2016, with payments of around $50 million continuing annually. Tobacco tax collections have added another $100 million-plus a year since 2007, reaching $116 million in 2016. An audit of the Department of Health shows that department "appropriates 100% of the funds to other State agencies and other entities" (p. 41), with only $6.6 million going to tobacco prevention and cessation funding. Tobacco settlement money and taxes also helped fund construction of the completed UH Cancer Center in Kakaako. Sharon strongly believes tobacco funds should go to health-related programs, including supporting our kupuna caregivers. Download and read Sharon's "Kupuna Care" mailer. This district was shocked late last fall when Young St. resident Jordan Smith fired 7-10 shots in front of Waikiki's Club Alley Cat, killing one and injuring two others. Smith's roommate and shooting witness, Isaiah McCoy, was convicted of a mainland drug-related murder later overturned. McCoy was arrested this year for promoting prostitution by force. Shortly after the Alley Cat murder, a Marine was stabbed to death at the corner of Royal Hawaiian and Kalakaua avenues. The deaths led to a December military designation of Waikiki as a "high risk area". Since last July, there have been more than 1,000 violent, substance-abuse related incidents in the Waikiki tourist area. No question drugs, including opioids, are a rising problem here. Opioid addiction is up from 50,000 residents a decade ago to 150,000 today, and addiction-related medical costs have more than doubled over the period to $111 million a year. Roughly 400,000 residents take pain-killers each year. Hawaii officials report that, currently, only 10% of the medical providers required by the state to sign up for a database drug-monitoring program actually use the program. Sharon agrees drug addiction is a chronic illness requiring treatment. But to treat, we must first identify the patient. As our senator, Sharon will, through legislation, put teeth in the legal requirement to comply with the state's database drug-monitoring program, currently only 10% effective, by providing the Department of Public Safety adequate funding to build its database, and by also allowing the Department of Health access individual records directly. In addition, Sharon favors eliminating so-called "cabaret licenses" in Waikiki and elsewhere that allow patrons to drink until 4:00am, then pour out onto the streets causing trouble. Download and read Sharon's "Safe Neighborhoods" mailer. Support crackdown on tourists illegally renting residential homes. Illegal vacation rentals contribute to the high cost of housing here. Every unit rented to a tourist means one less unit available to a resident. In its 2016 housing study for the State, SMS Research estimated (p. 65) the number of units lost to residents at 28,500, a figure that has likely grown since. Worse, the bulk of these units (85%) are houses; homes lost to entire local families. Sharon supports forcing Airbnb, which acts as an agent for most illegal rentals, to identify its Hawaii participants in exchange for operating here. So far, Airbnb has refused to do so, citing federal law. But local hotel representative Kekoa McClellan has disputed Airbnb's claim, noting Airbnb lost in California on the same question. Says McClellan, "No one in Hawaii should be allowed to take a fee for brokering illegal activities." Sharon supports the State giving up the hotel room tax revenue Airbnb offered to collect, if as a condition of collecting, Airbnb is allowed to hide the names of its illegal rental properties. Sharon believes "Our first concern is housing for residents—not tourists—especially when visitor units are illegal." Build "micro unit" projects to help homeless. Sharon strongly supports building permanent "micro units" to house the homeless, following the model of Kakaako's Nohona Hale and other demonstration projects. Nohona Hale is a prototype blending new building technologies with traditional ohana housing. It includes 111 affordable rental micro-units of 300 sq. ft, in a 16-story tower on a two-level podium housing the lobby, living room, and community spaces. The building allows tradewinds to breathe natural ventilation instead of air-conditioning --healthier and less cost for residents. Remarkably, Nohona Hale's footprint is contained within a lot of only 10,450 sq. ft., in a city where land accounts for the major part of total cost. Nohona Hale's micro units will house low-income individuals and couples earning 60% and below the Area Median Income, with 10% of the project's units for families earning 30% of area income or less. Sharon supports standardizing micro-unit projects to lower costs, and reducing construction costs further through shared bathrooms and cooking facilities. Build homes for teachers on school land. Sharon knows Hawaii's high housing costs heavily impact public school teacher recruitment and retention. In the old days, Hawaii housed its teachers; some neighbor island schools still do. On Oahu, land is tight. Many schools, however, including those with declining enrollment, have land, an "untapped resource." That land could provide teacher housing. Five years ago, the Department of Education (DOE) launched a pilot project to help schools profit from their excess land (without saying anything about housing teachers). The pilot project came to Kakaako with a plan to build a residential tower that included a "vertical" school. The chosen Kakaako land used to be a school. But the developer instead of helping DOE, charged the department the cost of designing the school! Result of the effort: Developer's high rise tower, 1; teachers' homes, 0; DOE new money, 0. Sharon wants to see DOE land used instead to help students, parents, and especially teachers, not only in Kaka’ako, but throughout the state. Help keiki by expanding pre-kindergarten education. "Hawaii has... the nation's least affordable child care," says Barbara DeBaryshe of the UH Center on the Family. Nearly 2/3rds of children under age 6 need care because their parents work, but full-time child care costs up to $9,500 per year. DeBaryshe says affordable child care should not exceed 7% of family income for all children, but in Hawaii, the average cost for one child is 13% of median income — twice what's affordable for all children in a family. There were 17,500 four-year olds in the state in 2014, meaning 35,000 aged 3-5. And 96% of all preschools were private, charging an average annual tuition of $8,160. Hawaii's Department of Education pre-kindergarten programs, plus those at public charter schools, offer places to about 1,600 children. Hawaii's Open Doors vouchers to low-income families help another 1,500 children, and Head Start enrolled 2,624 children in 2016. Finally, Kamehameha Schools' preschools statewide care for over 1,600 native Hawaiian keiki. Existing public and private programs, therefore, help 7,500 children aged 3-5 out of 35,000. That leaves nearly 80% of working families without a public school slot for their pre-schoolers, and facing $8,000 per child in private tuition. To Sharon, this pre-school period of a child's life is critical to his/her future. Sharon will work to have public schools, charter schools, Open Doors, Head Start, and Kamehameha Schools together to double their commitment to educating keiki between 3 and 5, each helping those least able to pay. She wants added federal as well as state support. And, Sharon will request private schools to double their scholarship assistance. Combined, the doubling will help over 15,000 of the state's 3- and 4-year-olds. Sharon asks, "Can we really afford to do less for our keiki -- Hawaii’s future?" Improve urban life through parks, open space, and protected ocean views. …residential areas which do not have facilities necessary for basic liveability, such as parks and open space. Sharon has demanded that the law be followed, referring specifically to the National Recreation and Park Association's standard for the amount of "playgrounds, recreation centers, and athletic fields". That standard, set in the early 1900s, was one acre per 2,000 people; a standard still used by the City and County of Honolulu. More recently, the national standard has grown to 9.6 acres per 1,000 people, including for communities Kakaako's size. In Kakaako Mauka's 379 acres, there are 26,500 people, with the population growing daily. The open space acreage mauka of Ala Moana Boulevard serving that population is 4.27 acres, or 6,200 people an acre. Even with the addition of Howard Hughes' "Central Plaza, Kakaako Mauka will have only 7.27 acres of open space, or more than 3,650 people per acre -- a far cry from the national standard of 9.6 acres for every 1,000 people. Sharon knows lack of open space affects all parts of our district, from Waikiki through Moiliili, McCully, and Sheridan to Kakaako. She will fight for at least the bare minimum of open space our community should have. Our district also lives with loss of ocean views. Sharon will work to bring to our community the "visual access corridors" ordinance that currently saves residential views in La Jolla, California. 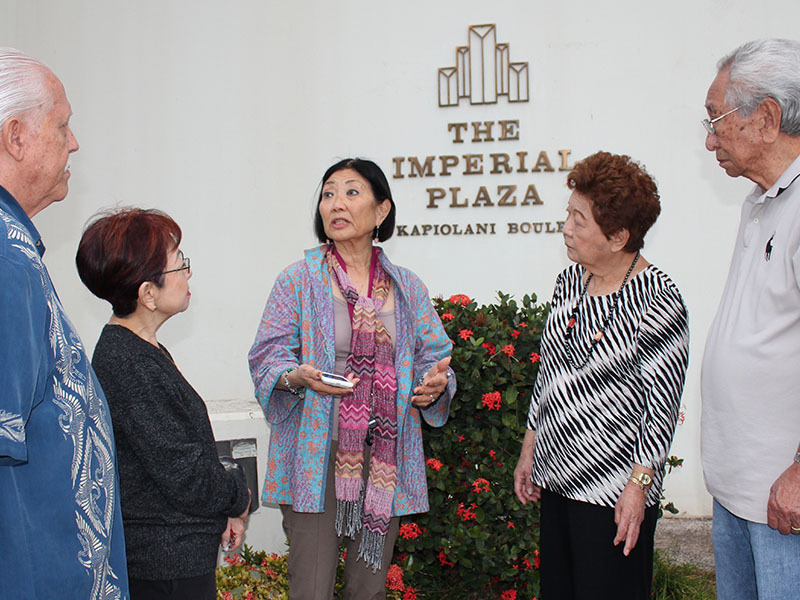 Sharon Moriwaki: "A Voice for US at the State Capitol"